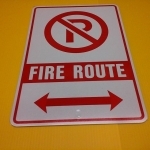 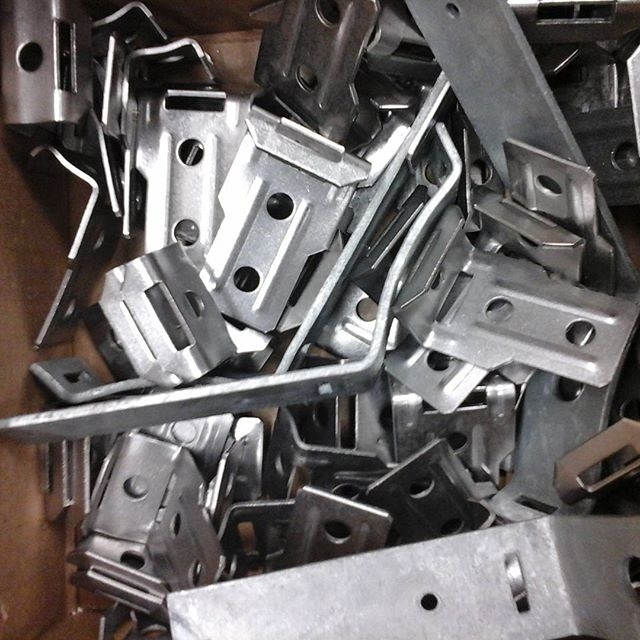 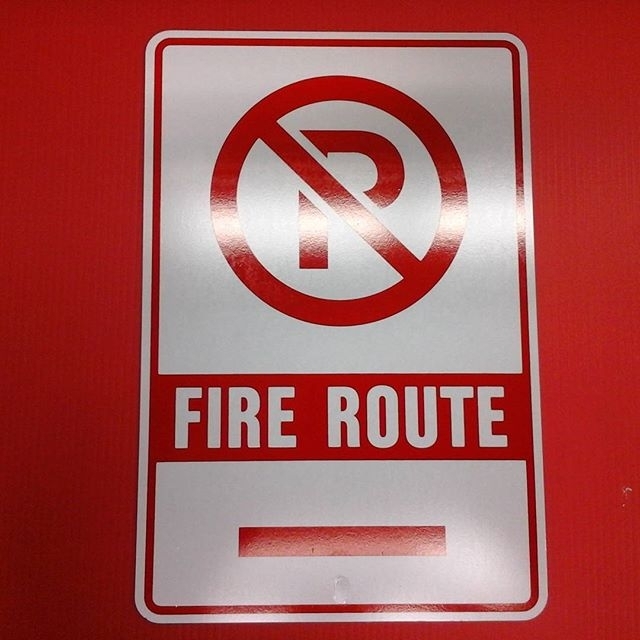 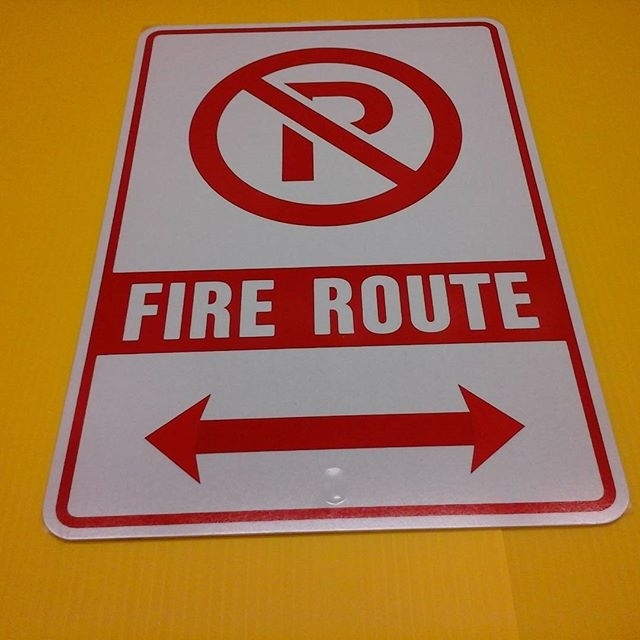 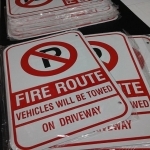 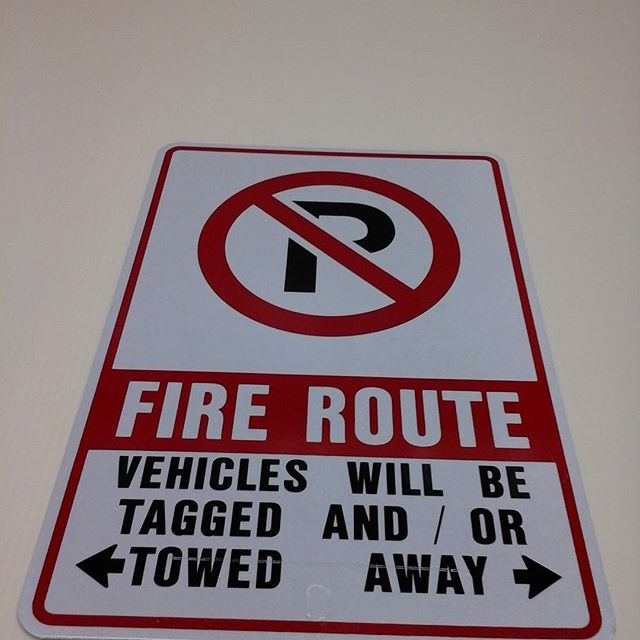 Fire Route Signs are reflective heavy duty aluminum, standardized to your local bylaw requirements. 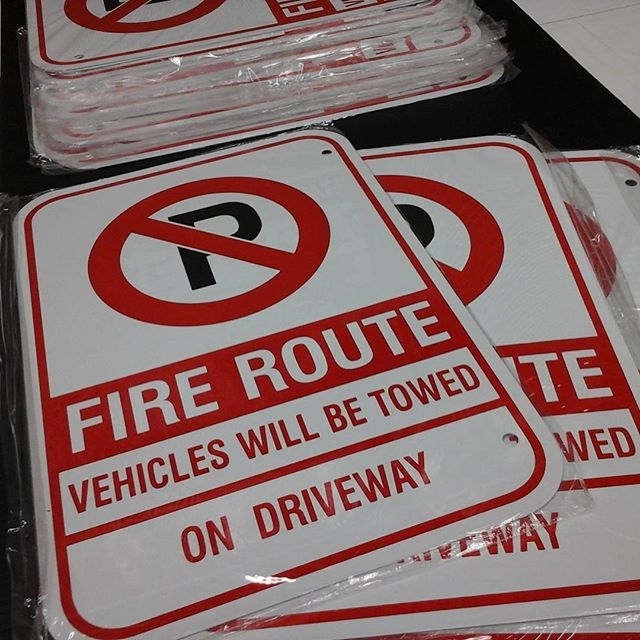 They are also available one or two sided. 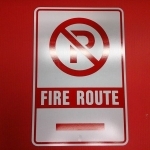 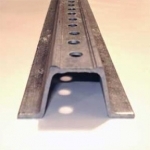 Fire Route Signs may be mounted on U-Channel posts or walls. 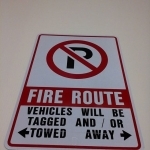 The City requires specific bylaws to be met regarding placement and angle of these signs.